WE CREATE FUNCTIONAL, PROFESSIONAL WEBSITES THAT ARE EASY FOR YOU TO MANAGE. From small one page websites to complex websites with all the bells and whistles no project is too big or small. We have the ability to create websites with e-commerce functionality or custom development - the possibilities are endless! See our portfolio for some examples of our work. WE CHOOSE THE MOST EFFECTIVE PLATFORMS FOR CLIENTS TO USE WITH CONFIDENCE AND EASE. 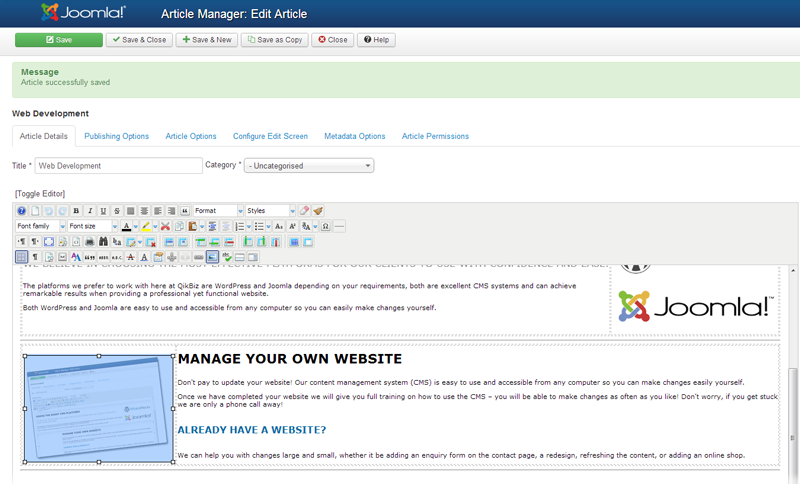 The platforms we prefer to work with here at QikBiz are WordPress and Joomla, depending on your requirements. Both are excellent CMS systems and can achieve remarkable results while providing a professional, functional website. 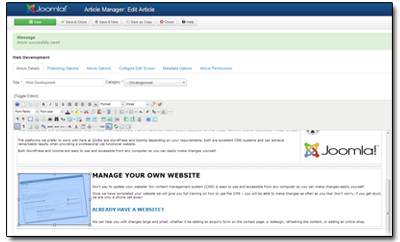 Both WordPress and Joomla are easy to use and accessible from any computer so you can easily make changes as you need to. DON'T PAY TO UPDATE YOUR WEBSITE! Once we have completed your website we will give you full training on how to use the CMS – you will be able to make changes as often as you like! Don't worry, if you get stuck we are only a phone call away! We can help you with changes large and small, whether it be adding an enquiry form on the contact page, a redesign, refreshing the content or adding an online shop. Check out some of the websites we have made.